With over 20 years of experience in the people business, Elise is an advisor to business owners and an expert in meeting facilitation and business strategy. 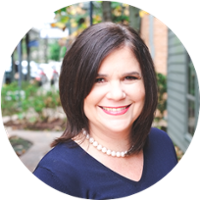 As a former business attorney specializing in employment law, she applies her experience in providing employers legal counsel and training to helping companies identify and execute a plan of action that aligns strategy with people resources. Elise’s unique background brings a different skill set to the executive table. Her role is to help a executives leverage the unique talent and resources of both their team and EXCELERANT to establish and accomplish their mission-critical company goals. Elise is passionate about working with small to medium-sized business owners and executives as they focus on the people side of their business. She believes that EXCELERANT’s customers are the experts in their business and that her role is to work together with them to design and implement a practical, proactive plan to achieve the business and people-related results they desire. I’m passionate about helping other executives to see opportunities for their company by connecting the dots between people and strategy.